Anuradha Roy yesterday won the US $50,000 DSC Prize for South Asian Literature 2016 for her novel Sleeping on Jupiter (Hachette, India). The other five shortlisted authors and novels were: Akhil Sharma, Family Life (Faber & Faber, UK); K.R. Meera, Hangwoman (translated from Malayalam by J Devika, Penguin, India); Mirza Waheed, The Book of Gold Leaves (Viking/Penguin India); Neel Mukherjee, The Lives of Others (Vintage/Penguin Random House, UK) and Raj Kamal Jha, She Will Build Him A City (Bloomsbury, India). Now in its sixth edition, the DSC Prize for South Asian Literature awards the best work in South Asian fiction. It is open to any author, anywhere, as long as the work explores the South Asian region and its people. It encourages writing in regional languages and translations, and the prize money is equally shared between the author and the translator if a translated entry wins. Past winners have included Jhumpa Lahiri for The Lowland, Jeet Thayil for Narcopolis and, last year, Cyrus Mistry for Chronicle of a Corpse Bearer. This year the DSC Prize received 74 entries from publishers from both the South Asia region, and further afield – including the UK, US, Canada, Australia and South Africa. In line with its aims, the award ceremony is held in various South Asian countries by rotation. Yesterday’s announcement was made at the Fairway Galle Literary Festival, Sri Lanka. This year, the jury was chaired by Mark Tully, a British journalist who has commentated on a wide range of issues affecting South Asia for over four decades. Other jurists were: Dennis Walder, Emeritus Professor of Literature at the UK Open University, a specialist on 19th and 20th century literature; Karen Allman, a book seller and literary coordinator based in Seattle; Neloufer de Mel, Senior Professor of English at the University of Colombo, Sri Lanka; Syed Manzoorul Islam, the Bangladeshi writer, translator, critic and academic. Also yesterday, Easterine Kire, a poet, novelist and children’s writer from Nagaland, a part of India little-known in the rest of the world, won The Hindu Prize 2015, for her novel When the River Sleeps, an exploration of the Naga spirit universe. It features a lone hunter seeking a faraway river, to take from it a stone that will give him untold powers. Kire was one of six authors shortlisted from nearly 60 entries. She won out over Amit Chaudhuri’s Odysseus Abroad, Amitav Ghosh’s Flood of Fire – and Anuradha Roy’s Sleeping on Jupiter. For coverage in the newspaper The Hindu, the prize’s sponsor, see here. About the book: China has nine percent of the world's arable land, six percent of its water, and over 20 percent of its people. Africa's savannahs and river basins host expanses of underutilised land and water. Few beliefs are as controversial and emotionally charged as the one that the Chinese government is aggressively buying up huge tracts of prime African land to grow food to ship back to China. In Will Africa Feed China? Deborah Bräutigam, one of the world's leading experts on China and Africa, probes the activities behind the headlines. Challenging conventional wisdom, she finds that Chinese farming investments and land acquisitions are surprisingly limited. China exports more food to Africa than it imports. Will this change? As Africa pushes for foreign capital, China encourages its agribusinesses to go global. International concerns about land grabbing are therefore justified. Yet to feed its own population, Africa must move from subsistence to commercial agriculture. What role will China play? Will Africa Feed China? introduces the state-owned Chinese agribusinesses that pioneered African farming in the 1960s, and the entrepreneurial private investors who followed. Their stories, and those of African farmers and officials, ground Bräutigam’s informative, balanced reporting. Forcefully argued, and supported by research in both Africa and China, Will Africa Feed China? offers a thorough exploration of China's quest for food security and Africa's possibilities for structural transformation. About the author: Deborah Bräutigam is the Bernard L. Schwartz Professor of Political Economy, Director of the International Development Program, and Director of the China Africa Research Initiative at Johns Hopkins University’s School of Advanced International Studies. She is the author of The Dragon’s Gift: The Real Story of China in Africa and many studies on Chinese engagement in Africa. Details: Published by OUP, in hardback, priced in local currencies. Each week I make a suggestion of an interesting Twitter account you may like to follow. Books by regular contributors to Asian Books Blog are not eligible for the Book of the Lunar Year Award. 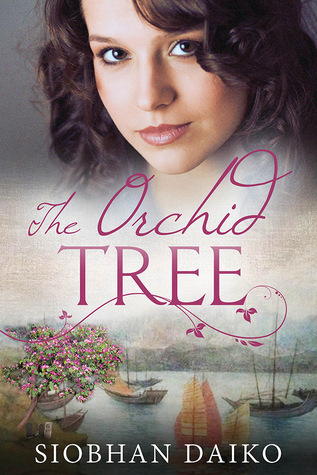 This meant our indie correspondent, Siobhan Daiko, missed out on nomination for her self-published novel The Orchid Tree. Siobhan has just run a Kindle Countdown deal with a promotion on Bookbub UK and has managed to reach number 1 in several Amazon UK charts, including historical fiction with Japanese relevance, with Chinese relevance, and with Asian relevance. You can buy The Orchid Tree here. Siobhan's Twitter account is this week’s pick for the Twitter spot. Follow her @siobhandaiko. As with The Orchid Tree, so with my own newly-published novel, Olivia & Sophia - it's also ineligible for Asian Books Blog's Book of the Lunar Year Award. It's an account of the life of Raffles, the founder of Singapore, as seen through the eyes of his two very different wives. The Kindle edition is available here.